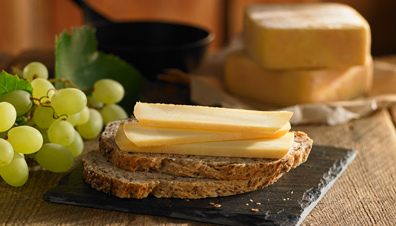 Generously creamy and supple, its soft texture allows it to linger on the palate. The thoroughly well-developed rich taste is due to the natural milk it contains. Our love for our surrounding land appropriately inspired this product’s name. 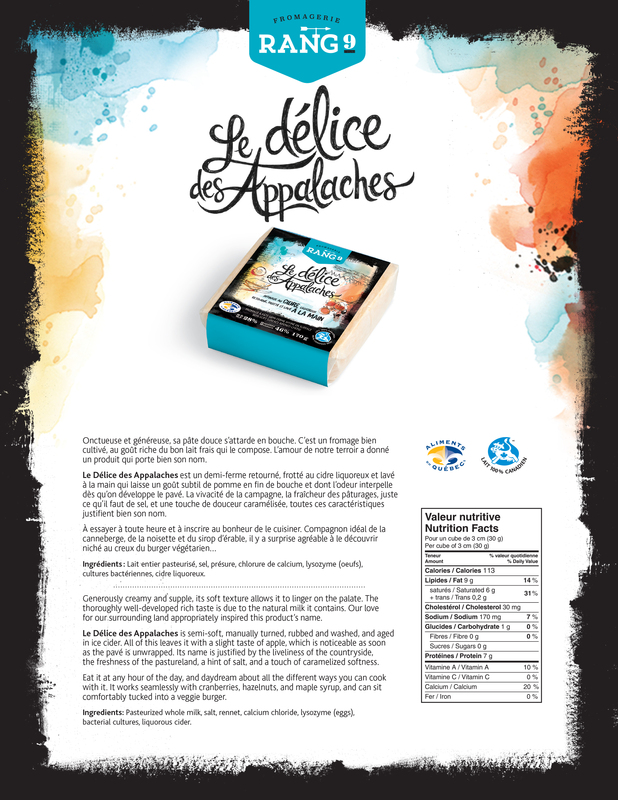 Le Délice des Appalaches is semi-soft, manually turned, rubbed and washed, and aged in ice cider. All of this leaves it with a slight taste of apple, which is noticeable as soon as the pavé is unwrapped. Its name is justified by the liveliness of the countryside, the freshness of the pastureland, a hint of salt, and a touch of caramelized softness. Eat it at any hour of the day, and daydream about all the different ways you can cook with it. It works seamlessly with cranberries, hazelnuts, and maple syrup, and can sit comfortably tucked into a veggie burger.